Rent Private Luxury Yachts in New York City for an Unparalleled Yacht Party Experience! Looking to find the perfect venue for your next Holiday Party in NYC? For over 25 years, Yachts For All Seasons has been planning some of the most remarkable one of a kind Yacht Parties for our valued local, domestic and International clients from around the world. Experience the magic and beauty of NYC while you and your party guests cruise aboard a mesmerizing charter yacht knowing it, along with its accompanied friendly staff, are all there to attend to your every need! Our reputation for having such a unique inventive style stems from knowing every single event must have it’s own personal touch, look and feel to the theme; all perfectly blended with the surrounding environment, yacht and charter destination. We are fueled by our passionate pursuit for the extraordinary and make sure each and every guest leaves knowing they just witnessed an unprecedented special event. Contact Us Today and let our expert party planners help creatively turn your dreams into an everlasting reality! * 4th of July Fireworks and Dinner Cruises! * Romantic Valentines Day Cruises! * Colorful Christmas Yacht Parties! * Unimaginable New Years Eve Parties! 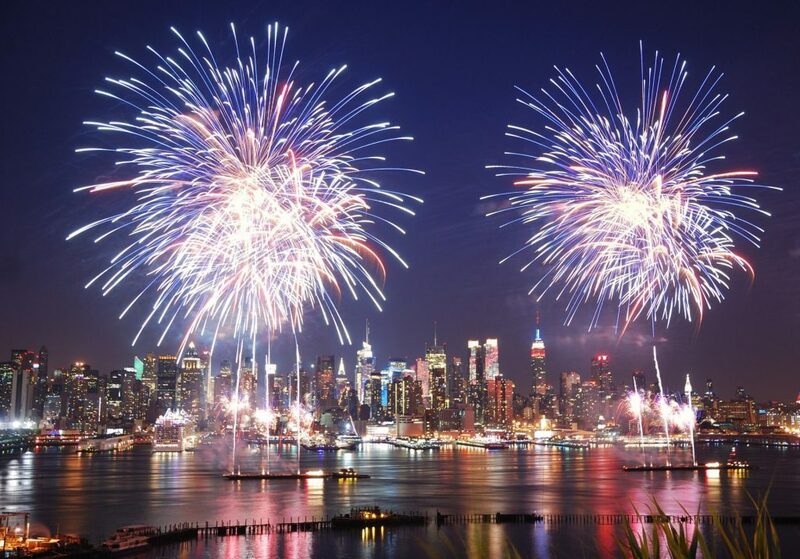 New York City Has The Biggest 4th of July (Independence Day) Fireworks Display in The United States! WINTER SPECIALS! Book Your Party on the Water Today and Take Advantage of our Current Winter Savings! Get a FREE Quote!